Esc Lisbon has found its finalists. In the end of the show broadcasted by TVR, the hosts have announced the winners of the second semi-final: Serbia: Sanja Ilić & Balkanika – Nova deca; Moldova: DoReDos – My Lucky Day; The Netherlands: Waylon – Outlaw In Em; Australia: Jessica Mauboy – We Got Love; Slovenia: Lea Sirk – Hvala, ne! ; Ucraine: Mélovin – Under The Ladder; Hungary: AWS – Viszlát nyár; Sweden: Benjamin Ingrosso – Dance You Off; Denmark : Rasmussen – Higher Ground and Norway: Alexander Rybak – That’s How You Write A Song. They are joining the winners of the first semi-final and the artists who represent the countries directly qualified in the last act of the contest, more precisely: Great Britain, France, Italy, Germany, Spain and Portugal. The song Goodbye, chosen by Romanian public to represent us at Eurovision, has not been qualified in the Final. Although Cristina’s voice has been highly appreciated by the journalists who were present at the Altice Arena – the best feminine voice of the contest – and the band’s performance has been received with enthusiasm, even from the first rehearsal, the result of the vote was not on our side. During the 15 minutes allocated to the voting session, numerous Romanians living abroad have complained about technical problems at the telephonic system. The messages, which went viral on the social networks, were coming from countries with important Romanian communities such as Germany or Italy, where the problems of the telephone providers have taken away the possibility to vote our representatives from the contest. In Italy, three of the national networks were out of order that evening, and in Germany the subscribers of an important telephone network were not able to send the votes. Romania, one of the competitors which along the years had positive results at the Eurovision, is leaving the contest untimely together with other countries with consistent participations in the history of Eurovision such as: Russia, Greece and Poland. “We believed in our chance till the end and gave it all for Romania tonight. Unfortunately, the result was a different one than we expected, but we keep the joy that we represented Romania on the Eurovision stage. ”, have declared our artists when finding out the results. .
„On Thursday evening, we were not alone on the stage of the contest. We felt the support of the Romanians who were at home and all over the world. We thank them for their support and for giving us their votes where this was possible, for our qualification”, have declared the members of The Humans band in the end of the show. 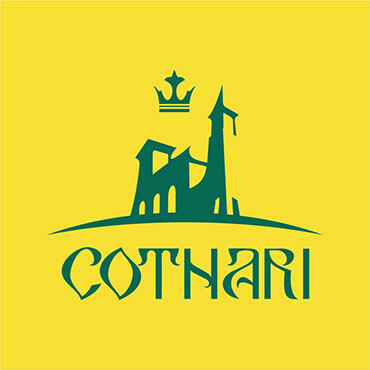 Before the semi-final, Romania’s representatives have received messages of support from many local stars such as: Ștefan Bănică, Dan Bittman, Fuego, Iuliana Tudor, Marina Almășan, Ilinca, Dan Teodorescu, Ovi, Paula Seling, Crina Mardare, Adrian Enache, Diana Dumitrescu, Cezar Ouatu, Mihai Rădulescu, Sonia Argint Ionescu, Adrian Sîna, Caitlyn, Gabriel Cotabiță, and also from numerous fans from the country and from abroad as well.